Inside the dimly lit tomb of an ancient Sith Lord. Many of the early Sith Lords were given elaborate burials in the Valley of the Dark Lords on Korriban. Even though the tombs were equipped with traps and other defenses, the tombs were eventually penetrated and most of the artifacts were removed from the tombs. 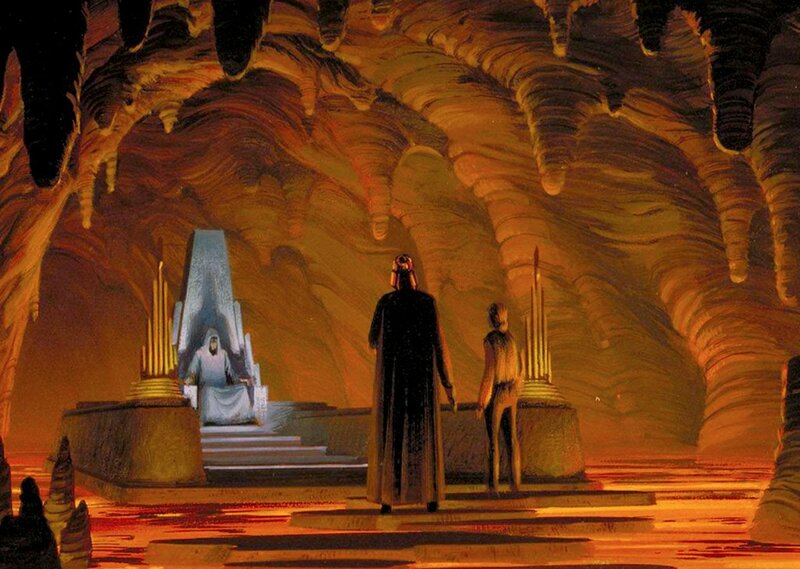 The Sith Lord Ludo Kressh was not buried in the Valley of the Dark Lords, he was buried in a secret tomb inside a large Shyrack cave on Korriban. That tomb was filled with dark side energy, which caused visitors to experience massive hallucinations, which were so vivid that visitors were unable to tell whether they were real or not. Comments for "Tomb of the Sith Lords"
License details for "Tomb of the Sith Lords"